Please support our efforts to bring a new generation of filmmaking to AC! We are making great progress in our efforts to raise funds to produce this original TV series. We still need more help. We are accepting donations in increments of $5.00. Every dollar received will support the project in some capacity. Thank you for supporting 48 Blocks - the series! Be part of the movement and wear it proud! 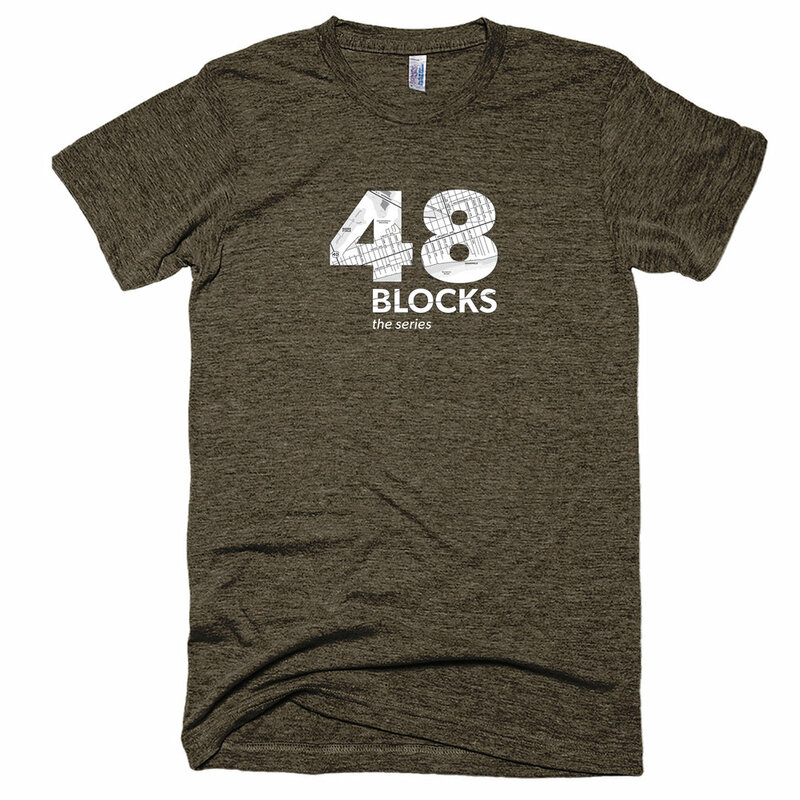 We have a limited edition 48 Blocks t-shirt (only 100 in production). $25.00.